Racism and racial vilification causes harm to individuals, to groups and society as a whole. The submission will summarise evidence of the important links between racism and health and wellbeing and the specific impacts of racism on the health and wellbeing of Aboriginal and Torres Strait Islander people. Racism and racial vilification experienced by Indigenous Australians is a widespread, serious and ongoing problem. The submission summarises recent evidence of the prevalence and nature of racist behaviours, including speech, directed at Aboriginal and Torres Strait Islander people. Any weakening of current restrictions on freedom of speech will directly undermine and work in opposition to existing Government strategies and programs for improving Aboriginal and Torres Strait Islander people’s health. The National Aboriginal Community Controlled Health Organisation (NACCHO) is a living embodiment of the aspirations of Aboriginal communities and their struggle for self-determination. NACCHO is the national peak body representing over 140 Aboriginal Community Controlled Health Services across the country on Aboriginal health and wellbeing issues. It has a history stretching back to a meeting in Albury in 1974. 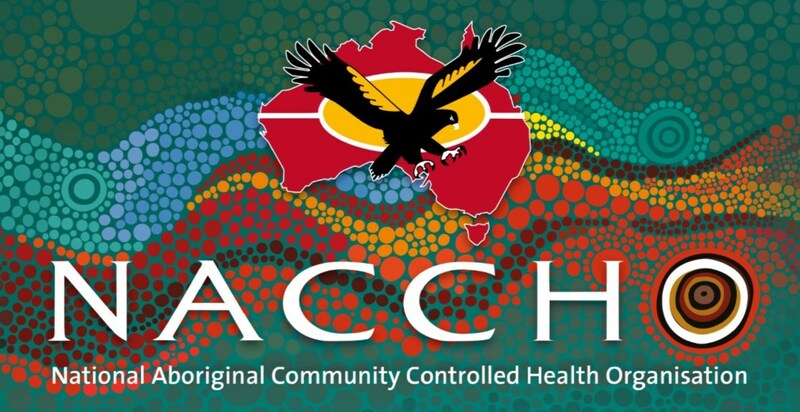 NACCHO represents local Aboriginal community control at a national level to ensure that Aboriginal people have greater access to effective health care across Australia, and advocates for culturally respectful and needs-based approaches to improving health and wellbeing outcomes through Aboriginal Community Controlled Health Services. Our members continue to demonstrate that they are the leading provider of culturally appropriate, comprehensive, primary health care to Aboriginal people across the nation, exceeding Government or private providers. Aboriginal people enjoy quality of life through whole-of-community self-determination and individual spiritual, cultural, physical, social and emotional wellbeing. Any weakening of current restrictions on freedom of speech will directly undermine and work in opposition to existing Government strategies and programs for improving Aboriginal and Torres Strait Islander people’s health. Combating racial discrimination is a key strategy for closing the gap in health outcomes between Indigenous and non-Indigenous Australians and achieving the Australian Government’s vision for an Australian health system that is free of racism and inequality and where all Aboriginal and Torres Strait Islander people have access to health services that are effective, high quality, appropriate and affordable. The submission discusses some evidence-based approaches to addressing racial discrimination and helping to achieve this vision. It is NACCHO’s strongly held view that there is no current or historical evidence, nor any policy or legal imperatives to support the notion that the handling of complaints made to the Australian Human Rights Commission under the Australian Human Rights Commission Act 1986 (Cth) should be reformed. NACCHO believes the process provides important access to remedies for victims of racial vilification with most complaints resolved through an accessible mediation process. NACCHO can find no objective analysis of Part IIA of the RDA shows that the laws are not being interpreted sensibly by the courts. The laws appear to generally strike an appropriate balance between the right to freedom of expression and the right to freedom from racial discrimination and vilification. 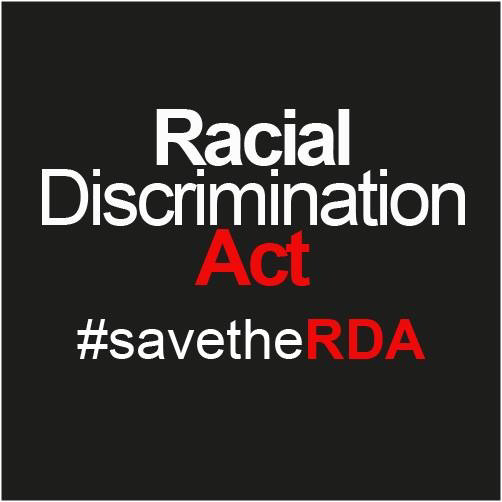 Australians made their support for legislation against racial vilification very clear two years ago in response to the proposed Freedom of Speech (Repeal of s. 18C) Bill 2014 which proposed major changes to section 18C of the RDA. The terms of reference appear to be inconsistent with the proper enforcement of the RDA and thereby appear to seek to undermine the rule of law and the statutory role of the Australian Human Rights Commission. The link between self-reported perceptions or experiences of racism and poorer physical and mental health is established and the pathways from racism to ill-health are now well understood by health researchers. Racism contributes to reduced access to societal resources and services such as education, employment, housing and medical care which impact on health and wellbeing. Evidence suggests that racism experienced in the delivery of health services contributes to low levels of access to health services by Aboriginal and Torres Strait Islander people. Aboriginal and Torres Strait Islander people may be reluctant to seek much-needed health, housing, welfare or other services from providers they perceive to be unwelcoming or who they feel may hold negative stereotypes about them. Racism has flow on effects for individuals’ social cohesion and for workforce participation, productivity and educational achievement. Experiences of racism lead to inequitable exposure to risk factors including stress and cortisol dysregulation affecting mental health (anxiety and depression) as well as injury from racially motivated assault. Prolonged experience of stress can also have physical health effects, such as on the immune, endocrine and cardiovascular systems. Longitudinal and cross-sectional studies both nationally and internationally have found a strong association between experiences of racism and ill-health and psychological distress, mental health conditions such as depression and anxiety, and risk behaviours such as substance use, all of which contribute significantly to the overall ill-health experienced by Aboriginal and Torres Strait Islander people. More subtle experiences of racism strongly linked to poor mental health outcomes include feelings of being left out and avoided; a form of social exclusion that results from both direct and indirect racism. Ongoing harmful effects of racism including anxiety and depression continue long after exposure to racist incidents and that individuals also experience anxiety on behalf of relatives and loved ones. Chronic exposure to racism leads to excessive stress, which is an established determinant of obesity, inflammation and chronic disease. Analysis of the 2012-13 Australian Aboriginal and Torres Strait Islander Health Survey found that Indigenous Australians with high/very high levels of psychological distress were 1.3 times as likely to report having circulatory disease and 1.8 times as likely to report having kidney disease. The Productivity Commission’s Overcoming Indigenous Disadvantage: Key Indicators 2016 report showed that the situation is worsening, with the proportion of adults reporting high levels of psychological distress increasing from 27 per cent in 2004-05 to 33 per cent in 2014-15, and hospitalisations for self-harm increased by 56 per cent over this period. Children and young people’s perspectives and experiences of racism, and the ways in which such experiences impact their health and wellbeing should be a key consideration for the Committee. Neuroscience and molecular biology tell us that early life experiences and exposures ‘get under the skin’ and become biologically embedded. A survey of research on the health effects of racism on children by UNICEF concluded that toxic stress in childhood is especially harmful, with ever increasing evidence that exposure to high levels of stress and adversity in childhood influences later physical and mental health and cardiovascular, metabolic and immune function right through to mid-life and older adulthood. Young people who experience high levels of racial discrimination were also found to have increased sleep difficulties, cellular aging, inflammation, and physiological wear and tear. UNICEF has stated that children and young people who are targets of racial discrimination are at higher risk of increased anxiety and depression, behavior difficulties, suicide and self-harm. Racial discrimination quite literally can get under the skin and make our children and young people sick. UNICEF’s survey noted that racism experienced by a carer, family member or peer, that may or may not be witnessed by the child, has also been shown to place children and young people at risk. Studies show increased risk of common childhood illnesses, social emotional difficulties, and risk of overweight and obesity among children with carers and families who experience racism. Witnessing or hearing about racism in the media and online, including stereotyped, negative portrayals, is one harmful form of vicarious racism that also places children at risk. physical injury via racially motivated assault. Research and survey results indicate a common response to experiencing racism is to subsequently avoid similar situations: 35% of those who reported in the 2012–13 Australian Aboriginal and Torres Strait Islander Health Survey that they had been treated badly, said they usually responded to discrimination by avoiding the person or situation. This holds implications across health, education and employment sectors. Henry et al argue that healthcare in Australia is institutionally racist, but, more importantly, that such racism represents one of the greatest barriers to improving the health of Aboriginal and Torres Strait Islander people. There is a growing body of evidence that the health system itself does not provide the same level of care to indigenous people as to other Australians. This systemic racism is not necessarily the result of individual ill-will by health practitioners, but a reflection of inappropriate assumptions made about the health or behaviour of people belonging to a particular group. Barriers to hospitals and health care institutions: Institutional racism manifests itself in (1) the adoption, administration, and implementation of policies that restrict admission; (2) the closure, relocation, or privatisation of hospitals that primarily serve Aboriginal and Torres Strait Islander communities; and (3) the continued transfer of unwanted patients (known as patient dumping) by hospitals and institutions. Such practices have a disproportionate impact on Aboriginal and Torres Strait Islander people. Discriminatory policies and practices can take the form of medical redlining, excessive wait times, unequal access to emergency care, and lack of continuity of care, which all have a negative effect on the type of care received. Lack of Language and Culturally Competent Care – cultural competency involves ensuring that all health care providers can function effectively in a culturally diverse setting; it involves understanding and respecting cultural differences including diverse groups with diverse histories, languages, cultures, religions, beliefs, and traditions. Without understanding and incorporating these differences, health care cannot be provided in a culturally competent manner. How commonly is racism directed at Indigenous Australians? The common perception seems to be that racism directed towards Aboriginal and Torres Strait Islander people is regrettable, but that such incidents are isolated, trivial and essentially harmless. Such views were commonly expressed, for example, following the racial abuse of Sydney Swans footballer and former Australian of the Year, Adam Goodes, earlier in 2015. Recent evidence suggests that racism and racial vilification experienced by Indigenous Australians is a widespread, serious and ongoing problem. A key study in Victoria in 2010-11, funded by the Lowitja Institute, documented very high levels of racism experienced by Aboriginal Victorians. It found that of the 755 Aboriginal Victorians surveyed, almost all (97 per cent) reported experiencing racism in the previous year. This included a range of behaviours from being called racist names, teased or hearing jokes or comments that stereotyped Aboriginal people (92 per cent); being sworn at, verbally abused or subjected to offensive gestures because of their race (84 per cent); being spat at, hit or threatened because of their race (67 per cent); to having their property vandalised because of race (54 per cent). Significantly, more than 70 per cent of those surveyed experienced eight or more such incidents in the previous 12 months. Racism occurred across a broad range of settings and was commonly experienced in shops (67%), public spaces (59%), employment (42%), housing (35%), while nearly a third (29%) of respondents experienced racism in health settings. There were no differences in experiences of racism due to gender, age or geographical location. Other studies have found high levels of exposure to racist behaviours and language. For example, in the 2012-13 Australian Aboriginal and Torres Strait Islander Health Survey, 16% of respondents reported that they were treated badly in the previous 12 months because they identify as Indigenous Australians. Discrimination is commonly witnessed, with 40% seeing others avoid Indigenous Australians on public transport and 38% witnessing verbal abuse. Almost a third (31%) witnessed employment discrimination against Indigenous Australians and 9% admit they themselves discriminate in this context. One in four (25%) do not agree that discrimination has a negative personal impact for Indigenous Australians. More than half (56%) believe that being Indigenous makes it harder to succeed. Many believe it is acceptable to discriminate, with 21% admitting they would move away from an Indigenous Australian if they sat nearby, and 21% would watch an Indigenous Australian’s actions when shopping. The law has an important role to play in addressing the harm caused by racial discrimination and racial vilification. By setting standards of conduct, the laws constrain the spread of racism and racial hatred, and encourage people to speak out against racism, complementing broader education strategies. Protecting people from that harm is an appropriate object of government legislation, as recognised by the International Covenant on Civil and Political Rights and the International Convention on the Elimination of All Forms of Racial Discrimination. Freedom of expression is not an absolute right and preventing the harm caused by racist speech is of sufficient importance to warrant appropriate restrictions on freedom of speech as in sections 18C and 18D. Taking Preventive Action – Preventive action is a more effective and efficient public health intervention than responding to individual incidents of prejudice; a range of preventive actions can be undertaken at the interpersonal and organisation level. Communication, Training and Behavioural Change – International evidence shows that it is more effective to seek to change behaviours than to address underlying beliefs; strategies that curb racist behaviours will have a positive impact on reducing Aboriginal people’s experiences of racism. Underpinning this behavioural change, it is vital to provide accurate information and offer sound alternative explanations to racist views, to build a consensus that supports culturally safe behaviours. Strategic Approaches – Individuals, organisations, advocates and governments should incorporate longitudinal strategies and develop long-term plans for addressing discrimination rather than proposing rather one-shot interventions; effecting behavioural change and addressing institutionalised forms of inequality take time and cannot be effectively implemented without a commitment to continual improvement. The Health Plan’s accompanying Implementation Plan, released by the then Minister for Rural Health, Senator the Hon. Fiona Nash, in 2015, takes forward the overarching vision by progressing strategies and actions that prevent and address systemic racism and discrimination in the health system. The Implementation Plan focuses on the Australian Government’s role in ensuring that the health system is free of racism. It includes strategies to reduce racism and discrimination and improving the cultural safety of the mainstream health system, including primary health care. Strategies and actions such as empowering youth and adolescents to be proud of their identity and culture and recognising the centrality of culture in the health and wellbeing of Aboriginal and Torres Strait Islander peoples are also supported. Any moves to water down the existing restrictions upon freedom of speech through reform of sections 18C and 18D of the RDA will jeopardise this strategic investment and presents major risks for the effective implementation of the Health Plan. The link between self-reported perceptions or experiences of racism and poorer physical and mental health is established and the pathways from racism to ill-health are now well understood by health researchers. Racism and racial vilification experienced by Indigenous Australians is a widespread, serious and ongoing problem. Any weakening of current restrictions on freedom of speech will directly undermine and work in opposition to existing Government strategies for improving Aboriginal and Torres Strait Islander people’s health. Combating racial discrimination is a key strategy for closing the gap in health outcomes between Indigenous and non-Indigenous Australians and achieving the Australian Government’s vision for an Australian health system that is free of racism and inequality. In conclusion we wish to express our very profound concerns that the terms of reference for this inquiry appear to suggest that the right to freedom of speech is superior to the right to freedom from discrimination, in particular in the form of racist vilification. Freedom of expression is not an absolute right and preventing the serious harm caused by racist speech is of sufficient importance to warrant appropriate restrictions on freedom of speech as currently contained in sections 18C and 18D of the RDA. Please contact Dawn Casey on (02) 62** **** or by email at dawn.casey@naccho.org.au if there is any area of this submission for which we can provide further assistance or information. Australian Health Ministers’ Advisory Council, 2015, Aboriginal and Torres Strait Islander Health Performance Framework 2014 Report, AHMAC, Canberra. Ferdinand, A., Paradies, Y. & Kelaher, M. 2012, Mental Health Impacts of Racial Discrimination in Victorian Aboriginal Communities: The Localities Embracing and Accepting Diversity (LEAD) Experiences of Racism Survey, The Lowitja Institute, Melbourne. Paradies, Yin (2006) “A systematic review of empirical research on self-reported racism and health”, International Journal of Epidemiology, (35) pp. 888-901. SCRGSP (Steering Committee for the Review of Government Service Provision) 2016, Overcoming Indigenous Disadvantage: Key Indicators 2016, Productivity Commission, Canberra. Henry BR, Houston S, Mooney GH. (2004) “Institutional racism in Australian healthcare: a plea for decency”, The Medical Journal of Australia 2004 May 17; 180(10): 517-20. Mooney G. “Inequity in Australian health care: how do we progress from here?” Aust N Z J Public Health 2003; 27: 267-270. See also Y Paradies, ‘A systematic review of empirical research on self-reported racism and health’ (2006) 35(4) International Journal of Epidemiology 888; D Williams & R Williams-Morris, ‘Racism and mental health: The African American experience’ (2000) 5(3–4) Ethnicity and Health 243; J Soto, N Dawson-Andoh & R BeLue, ‘The relationship between perceived discrimination and generalized anxiety disorder among African Americans, Afro Caribbeans, and non-Hispanic whites’ (2011) 25(2) Journal of Anxiety Disorders 258; E Pascoe & L Richman L, ‘Perceived discrimination and health: A meta-analytic review’, (2009) 135(4) Psychological Bulletin 531. National Best Practice Framework for Indigenous Cultural Competency in Australian Universities (Universities Australia, 2011).